As digitalisation continues to unfold, interaction with partners and customers is changing into progressively vital for businesses. According to Gartner Top 10 Strategic Technology Trends for 2017, AI and Advanced Machine Learning, Intelligent Apps will be trending in 2017. Watching all these spaces Enterprise Messaging provider Logix Infosecurity has identified 3 Key Enterprise Messaging and Collaboration Trends 2017 that will have a decisive impact on Enterprise communications. Chatbots are automatic services that interact and provide info to humans, particularly consumers, through a chat interface. And AI is one of the technology behind the chatbots. Businesses will increasingly look to chatbots to help reduce spending on customer service, support and sales. According to Transparency Market Research Firm, Global chatbot market in 2015 was valued at US$113.0 mn. It is predicted to expand at an incredibly high CAGR of 27.8% in terms of revenue, within a forecast period from 2016 to 2024. By the end of 2024, the global chatbot market is expected to reach US$994.5 mn. 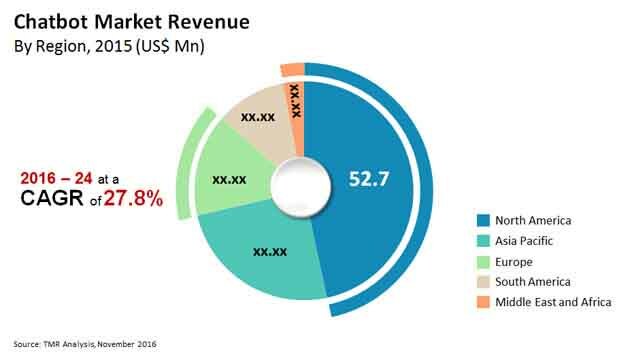 Large enterprises are expected to grab the lion’s share in the global chatbot market and are expected to generate a revenue of US$626.3 mn for the market by the end of 2024. According to Okta’s Business@Work 2016 report, Office 365 and Google Apps complement each other in the enterprise.They discovered that a surprising number of Okta customers across all industries are inviting both cloud giants—Office 365 and Google Apps—into their businesses.Survey data showed that over 40% of companies using both Google Apps and Office 365 because different departments prefer different applications, presumably for online collaboration. So going Hybrid is the next trend which is consistently increasing. Why users are going Hybrid? Microsoft office 365 or Google apps is the appropriate solution to rightly address these requirements. Rest of the organisation like General Users just need features like Basic Mailbox, Instant Messenger, Other collaboration features.And messaging solution like Cloud Zimbra can provide these features along with few other additional features. We expected a lot about “business social networking” but it failed and Slack has established chat-based collaboration. Everyone though keeps an eye on whether Microsoft Teams will be able to beat Slack at its own game — particularly since Teams comes free with Office 365. Skype for Business has already made an impact in Enterprise Business despite integration with consumer Skype service meeting enterprise security and compliance requirements. 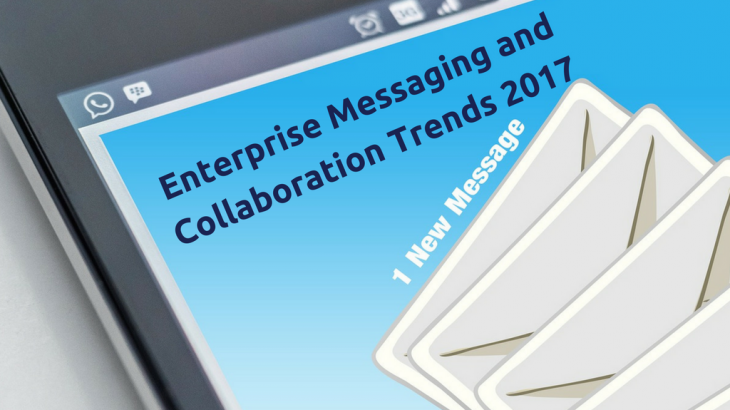 Do you think we missed any point in Enterprise Messaging and Collaboration Trends that may have a great impact in 2017 then feel free to share in the comments section? Hybrid Mail Solution, Hybrid Mail Solutions. permalink.